I’ve lived in Colorado a long time—more than half my life. In the seventeen years I’ve been here, I’ve moved twelve times to ten different places, all of them right here in Colorado Springs. I’ve been a Coloradan long enough to see a steakhouse become a ski shop, and then become a carpet store. The church I once attended—a church that met in a bank—has left behind a space that houses a nightclub. The building where I once worked, is now the building I work out in. I’ve seen a lot of changes here, in this, my town. In fact, I remember when seeing the school busses on Woodmen, near Powers, meant you had ventured outside of the normal constraints of the city, and could only be headed towards the airport. There was nary another reason to be so far from civilization. Now, I own a house right down the street. Colorado Springs has been my home for long enough that I often say it is where I’m from. I moved here with my family when I was twelve. I graduated from high school and college here. I got my first, second and all other jobs here. And I’ve been here long enough that anyone who’s not from here thinks I’m “pretty much a native.” (Don’t worry, natives, I know it’s not true.) Most importantly, I’ve lived at the foot of Pikes Peak long enough that I absolutely love this city. It’s one of my favorite places in America, and I’ve been a lot of places. Some of you have heard me talk many times about moving. I’ve toyed with moving to Austin, San Diego, New York, Chicago and even Sydney, London or Paris. It has been a long time coming, but I’m finally doing it. I’ve settled on Chicago—at least for now. 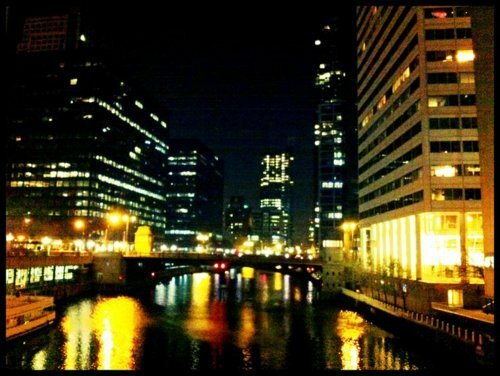 I’m moving to downtown Chicago somewhere around February 1, to give life out there a try. Well, the reason is pretty simple: I love Chicago. Rather Chicago is part of a small group of cities that I love, and yes, that includes New York, San Diego, Denver, and though I’ve never been, I include London and Sydney in the list. I love the big city. The pace, the culture, the art, the activities, the buildings, the restlessness, I love it all. So I’m going to Chicago. Because it’s a big city. Because it’s cheaper than New York. Because it has a certain charm that is different from any other city in the world.Because it’s Chicago. Yes, it’s cold during the winter, and you all know how much I hate being cold. God only knows why I’d submit myself to that, but I’m gonna give it a go. The most basic answer to the question of why is this: Why not? If it doesn’t go like I hope, or I tire of it, or I can’t make the kinds of friendships that I have here, then I can always come back. That wouldn’t be very tragic in my book. My fallback is one of the greatest places I know. Over the last seventeen years I’ve made the best friendships ofmy life. I’ve had the privilege of working and playing—often at the same time—with some of my favorite people. Some have moved away, many are still right here, but the friends I have here will be friends I have for life. The hardest thing about moving away is the distance from my closest friends, the people who will always be my closest friends. But I’m confident that those friendships are strong enough to withstand the distance. So I’m off, in February, for a new adventure. You should come visit. We’ll grab Chicago dogs and a Cubs game.